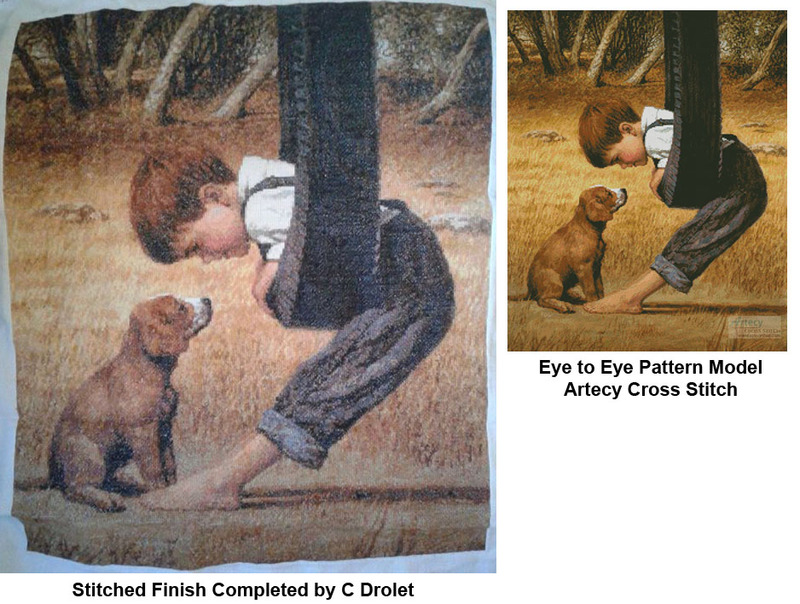 Eye to Eye Cross Stitch Pattern to print online. 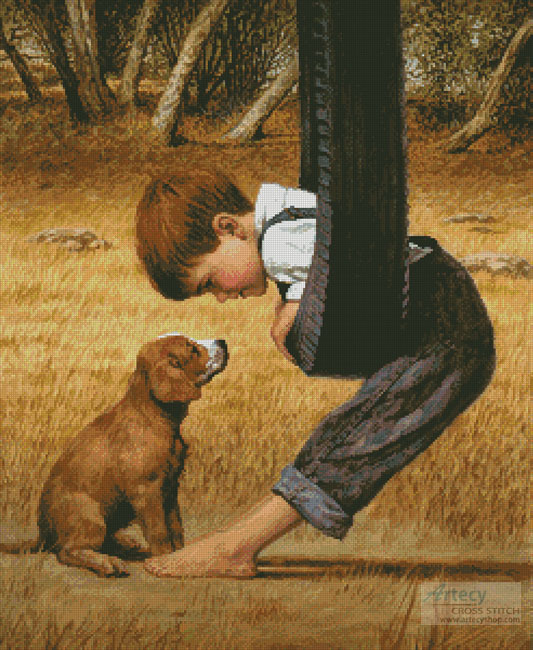 This counted cross stitch pattern of a Boy on a Tire Swing staring into the eyes of his Puppy was created from the beautiful Artwork of Jim Daly. Image copyright of Jim Daly. All Rights Reserved. Licensed by The Ansada Group, LLC., Sarasota, Florida.